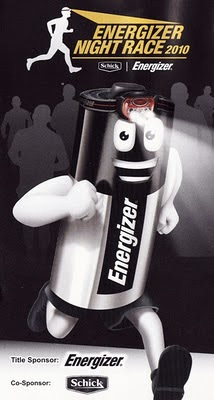 On 18th Jan 2010 night i have registered for the Energizer Night Race 2010! Weee... i should have feel the excitement on the registration of marathon, but im not. i thinks 18th night was my 1, 2, 3nd marathon registration so far! 1st was the Singapore Adidas Sundown Marathon in May 2010, then followed by Purtajaya Night Marathon in Feb 2010 and now Energizer Night Race in March 2010! omg... now im noticed all the marathon are night marathon! hmmm which marathon going to be the morning marathon for me? Perhaps Standard Chartered KL Marathon in June 2010? ok, my registration for Energizer Night Race 2010 begins! 1.Select a category then the details information section will shown below, fills in the details accordingly. Finished fill up, click submit. 2. After click submit, the summary screen will appear. Checks your information, and amount whether is correct or not. After summary screen, you will be direct to mobile88 payment portal. As im using Credit Card to pay, i have no comment on how the other method works. Sorry. just simple, key in your 16 digits credit card number, and also 3 digit CVC numbers which shown at the back of credit card, lastly expiry date. Tick the acceptance, and submit! After submit, please do not refresh or click anything, just waits for your payments to be approve. Weird thing is, this security warning pop-up, omg, i thought my transaction was fails, but actually the transaction already went through, just click "continue". Ideally, you will be able to know your bib number after the payment went through. Print out the screen for the bib collection purpose. Horey! , my 2nd full marathon 42.195km is on 27 March 2010. Noob questions from non-runners, smart questions from runners and many more question being asked! oh yeah, im almost forget 1 important thing which will lure many non-runners to join this race, the FREEBIES! Upon registration, registrants will receive goodies bag. 2) Limited Edition Energizer Adidas Climacool Running Vest - "Imported"
5) Abbott Supplements and many more!!!! During registration, there is no column asking on size of running vest. According to Energizer in facebook reply, its would be 1st come 1st serve basis on the vest distribution day! WTF... Someone who lose out going to complaint in facebook after that, im 100% sure! Now im registered, just waiting time to come and also train hard and smart!!! For those who interested, you are welcome to join us CariRunners and RunnersMalaysia program. Runners Malaysia program mainly are targeted for beginner runners who have no running experience or anyone who wanted to run in group. Basically Runners Malaysia is a place where you can find all information about running! The founders are strong passion for running! 1 thing i like the MOST is the running practice which falls on every Saturday 7.30am morning at Bukit Aman car park is NEVER fail. NEVER FAIL again, i stress! Its a good place to start running for health. CariRunners - is a CARI chinese forum which 1 particular section just for running. Initially i was looking around and the longer im in there, we exchange information, we trains together, we outing, we diner, we motivates each other and we do cam-whoring each time in the races! haha oh yeah, we also do travelling together to outstation races like Penang Bridge Run, Standard Chartered Singapore and Borneo Marathon! Wanted to join but banana? no problems, we welcome all!